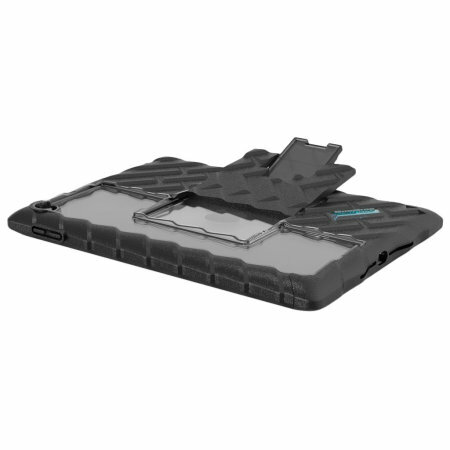 The DropTech Rugged Case from Gumdrop for the iPad Pro 9.7 2018 6th Gen features reinforced rubber bumpers and a rugged built-in kickstand, allowing you to keep your precious new iPad safe and secure at all times. 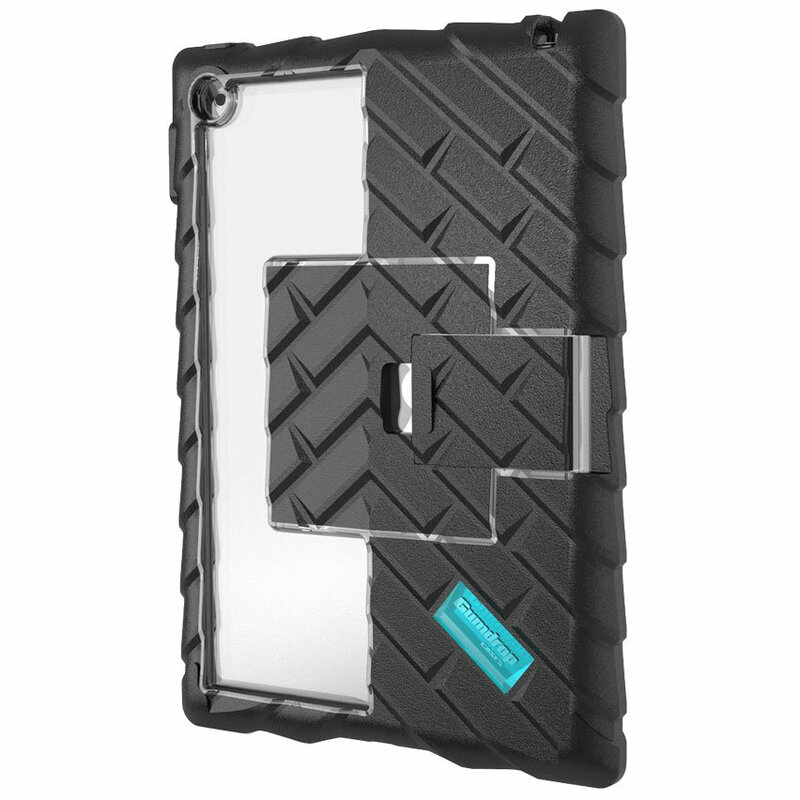 The Gumdrop DropTech Series Stand case offers complete drop protection for your Apple iPad Pro 9.7 with its shock absorption, extreme ruggedness and hard-core readiness for all adventures. 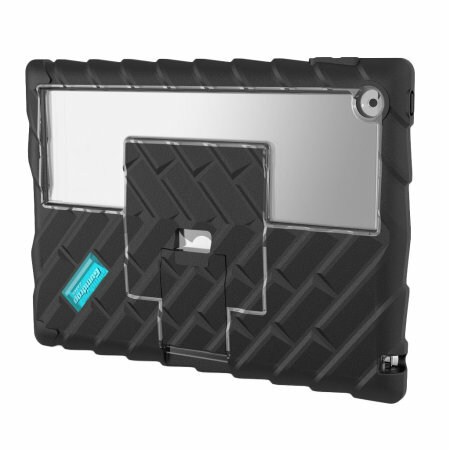 It features multi-layer protection, making it one of the toughest and most durable iPad Pro 9.7 cases on the market. 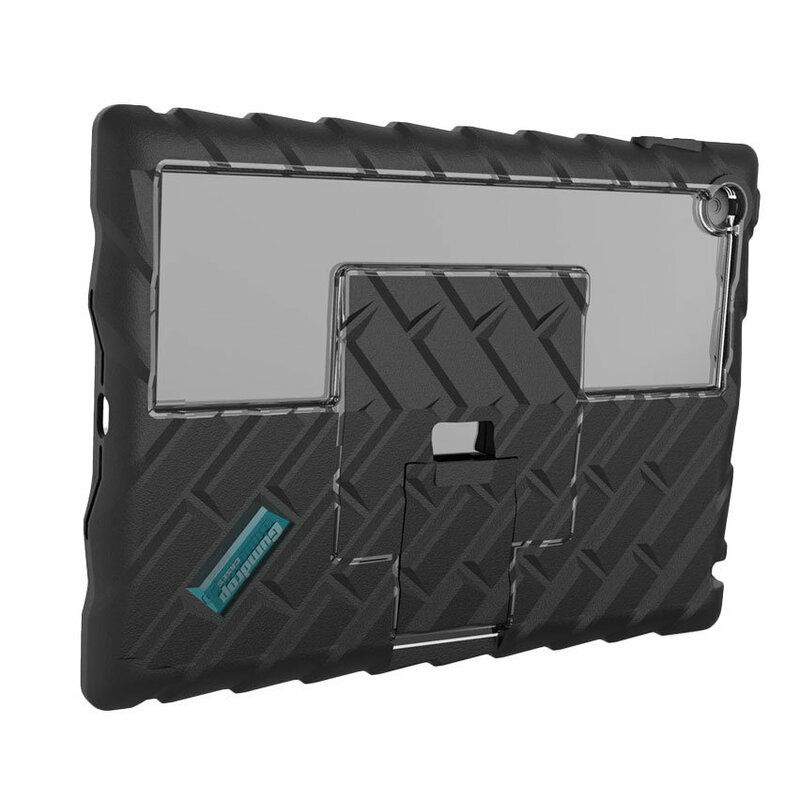 The Gumdrop DropTech Rugged case features both reinforced rubber bumpers and a built-in replaceable screen protector, providing scratch protection to your iPad Pro 9.7's display. 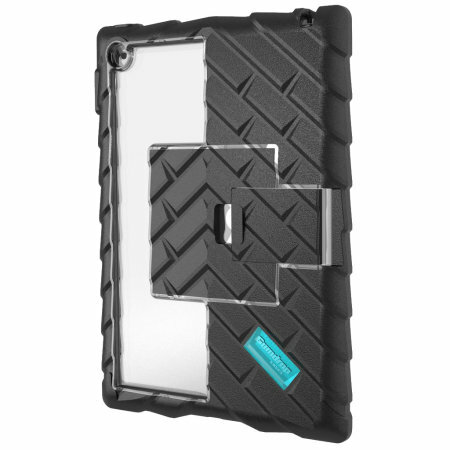 Featuring a built-in kickstand, the DropTech Rugged case allows you to position your iPad Pro 9.7 at a comfortable angle for viewing media and or typing in landscape mode. 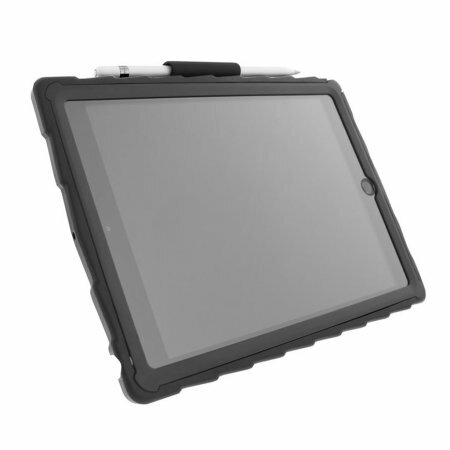 Even though the DropTech Rugged Series has been designed with a built-in screen protector, it is still compatible with the Apple Pencil and any other styli you wish to use. 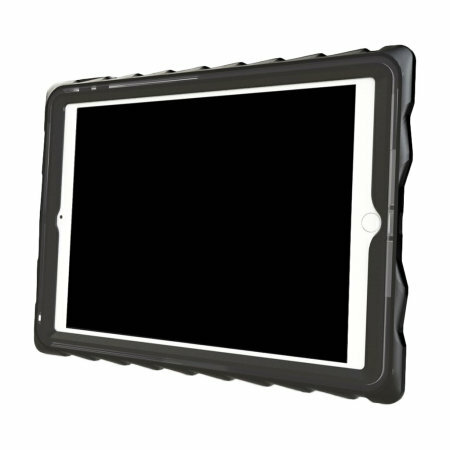 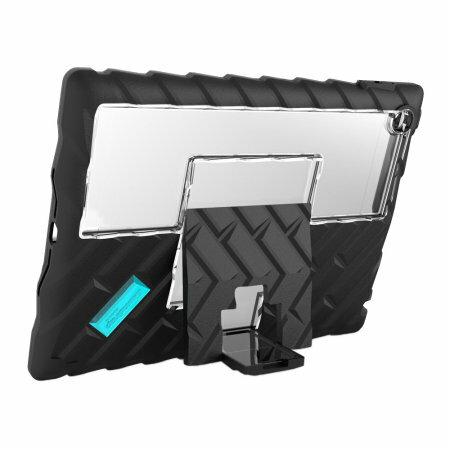 The DropTech Rugged Series case has been designed for the iPad Pro 9.7, as a result it has cut-outs for the various ports and features such as the rear facing camera and port plugs for the dock connector and the headphone jack.